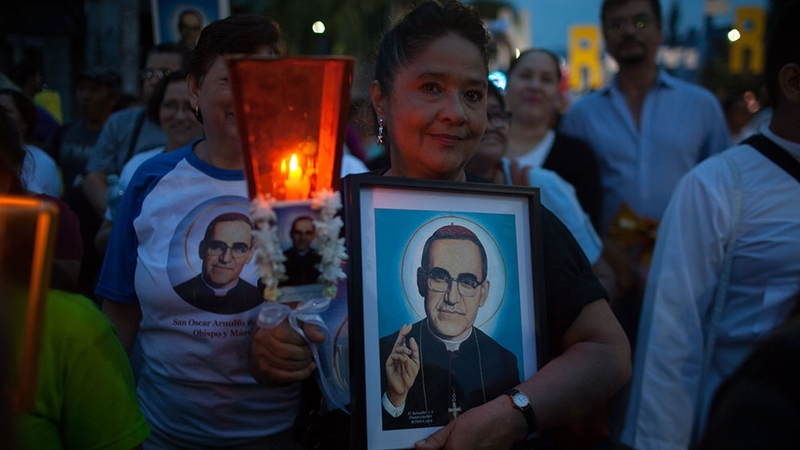 San Salvador – Maria Barrera remembers the moment the news of Archbishop Oscar Romero’s murder reached the town of El Rosario. 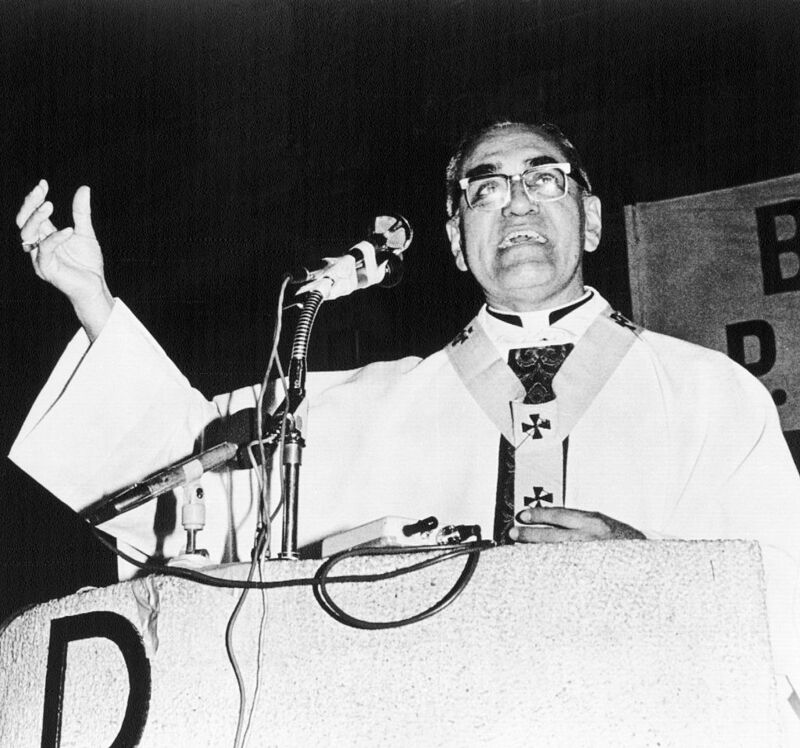 Romero was killed by members of a death squad while performing mass at the Church of the Divine Providence in San Salvador on March 24, 1980. His death sent shockwaves throughout El Salvador, which was experiencing the start of a civil war that would last more than a decade and leave 75,000 people dead and thousands more disappeared. The day before his death, Romero publicly denounced the violence carried out by the country’s armed forces against civilian populations during a mass at the National Cathedral. “In the name of God … I beg you, I beseech you, I order you to stop the repression,” he said. On Sunday, nearly four decades later, Romero, along with six others including Pope Paul VI, was made a saint. Tens of thousands, including Barrera, marched through San Salvador as part of the procession of celebration that ultimately arrived at the National Cathedral. Thousands remained through the night to listen to the Pope Francis‘s declaration, which occurred at 2:00am (08:00 GMT) in El Salvador. Barrera described the time she met Romero as a teen. The now 63-year-old had lunch with him on a visit to her village of El Rosario, Cuscatlan in 1978. “He was very humble,” she reflected. “I knew he would be declared a saint,” Barrera told Al Jazeera. “I’m honoured and privileged to say that I once ate with this saint. Tears of joy, cheers, and shouts of “Your people made you a saint” filled the Gerardo Barrios plaza on Sunday in front of the Cathedral as Pope Francis declared Romero a saint. Similar vigils occurred in parishes across El Salvador in commemoration of the canonisation of Romero, including at the Church of the Divine Providence in San Salvador, where Romero was murdered. Romero was the voice of those who did not have a voice. He was with the poor. He became a saint because his people had already declared him a saint. He is the saint of the poor of the world. Romero’s path to sainthood began in 2015, when Vatican theologians declared him a martyr, saying he was killed “in hatred of the faith”. The Church then looked to verify a miracle attributed to Romero, which was confirmed and the canonisation process started, despite deep opposition from some within the Vatican who viewed Romero’s life and symbolism after his death too political. Romero was deeply loved by the poor of El Salvador and of Latin America for whom he dedicated much of his life. During the canonisation ceremony, Pope Francis praised Romero for being “close to the poor and to his people”. Barrera said he liked to be on the same level as the people he served. “If he was told that he would be given food that is better than the others, he never wanted it,” she recalled. “He wanted to eat what all the others were eating,” she added. Romero’s concern for the poor began after seeing the realities of migrant labourers who travelled to San Miguel for the coffee harvest. In the course of the beginning of the civil war, which lasted from 1979 through 1992 and left more than 75,000 people dead and thousands more disappeared, he became an outspoken critic of the violence against El Salvador’s poor, as well as the rampant inequalities in the country. After his death, Romero became a symbol throughout Latin America with graffiti, signs and memorabilia lining the streets throughout major cities of El Salvador.